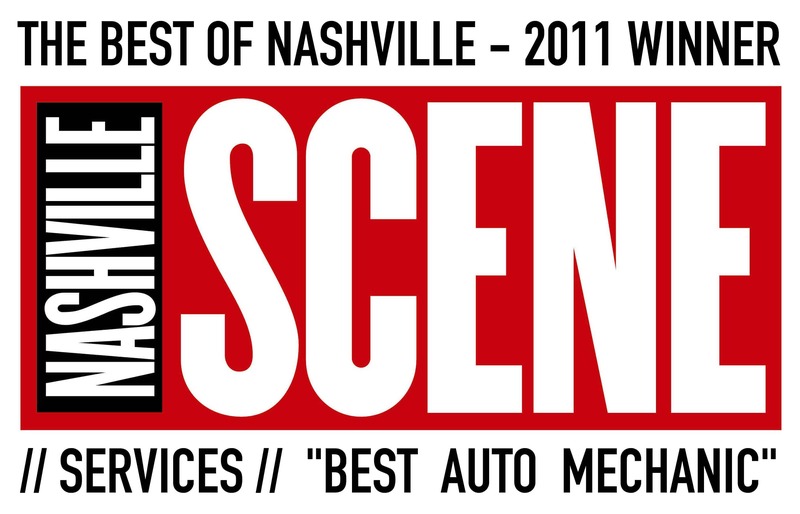 If there’s one thing we stress at our Nashville European Auto Repair Shop, it’s that every make is different. That’s why you need a professionally certified technician to work on your car. Check out this cool video that we found that explains the differences you can run into between working on German cars vs. Japanese cars. If the video doesn’t load properly, we have added in the transcript for your convenience. If you’re in need of a professional repair for your European car, schedule an appointment at GPO Tuning’s Nashville European Auto Repair Shop by calling (615) 392-5514. Charles: … Pick up three horsepower. Eric: I know. Well, more than three horsepower, I mean I weigh like 200 and something. 220. Yeah, I’m about 220. So I’m a 220 pound sack of meat in the passenger seat slowing you down. Charles: 220 pound sack of meat in the passenger seat. Eric: Oh, didn’t see you there. Greetings viewers, Eric the car guy here. With my good friend Charles Sanville, humble mechanic. Eric: If it is your birthday, happy birthday. Because everybody likes to be wished happy birthday. Anyway, we are in, where are we? Charles: We are in Atlanta. Charles: I think if people saw this amount of traffic in Atlanta and heard us complaining about that, they would tell us to shut it. Charles: As we generally do. Eric: As we generally do. So we’re doing videos this week with [Pull apart 00:01:04] for Charles, for his channel, different things that we’re pulling off of different cars. German cars, to be specific. Eric: Those German cars. And you know what? I’ve heard to say probably at least on every vehicle, oh… Well, sorry about the GPS. Eric: Keep left on… No, but anyway, I think I’ve heard you say I need a special tool for this probably on every single vehicle that you mention. Charles: Yeah, I think that is quite an accurate statement. Sat-Nav: Keep left to stay on I285. Eric: Well, I’m gonna say that I, for one, don’t like working on German cars. In fact, I don’t think I’ve ever worked on one on my channel, but I’d leave those to Charles. Eric: We’re being interrupted. As far as that goes, you would also mention, you worked on some Japanese cars and what were your comments on that? Charles: You know, it was interesting because, in the early onset of the diagnosis process, I was scratching my head, I’m like I’ve got this Toyota Corolla that none of the door locks worked, and so, me just being accustomed to the architecture of German cars, I’m thinking where’s the common component? There’s a module that controls these things. Charles: It wasn’t until I realized that wait, there’s only like three wires to this, first of all, where’s the rest of the wires, and it was just as simple as it had four bad door latches. Which means, despite what the internet says, Toyotas do break. Eric: Oh, they do break, indeed they break. But the point being is that to you, it seemed like they were so much simpler. Eric: And that was my takeaway. My takeaway was that you had felt that working on Japanese cars was a much simpler prospect than working on German cars. Charles: I think in that instance, absolutely, but I have to believe and this may just be me wanting to believe in unicorns and what-not, that there are instances where advantages that German car technicians have that perhaps other import car technicians maybe don’t have at their disposal. Eric: I’m saying that working on Japanese cars the way I did at the dealership, similar to what you do at Volkswagen, it ruined me, as a technician. Because the vehicles, in my opinion, were simple to work on, I wasn’t really challenged, and a lot of times I was mostly just replacing parts. Eric: And that’s honestly what it felt like. And it was at a time, you know, the late 90s, early 2000s when the brand was doing really well and there was a whole lot of services, a whole lot of timing belts, and not a lot of warranty work, so that really colored my experience. And as a result, switching over to something like German cars, it was a lot more difficult for me to go in that direction then it would be for say, somebody working on German cars to go to work on Japanese cars. Charles: You know, I can’t help but thinking like that’s what we call oil changes. Eric: Well, exactly. And that’s my point. I guess the direction this video is taking as far as the differences between working on German and Japanese cars. I’ve always felt that they’re easier to work on and in some ways easier to maintain. And partly because of that whole special tool thing that German cars seem to have going on. Charles: For perspective, in order to start your own Volkswagen dealership, Volkswagen makes you buy about 600,000 dollars worth of special tools in order to open the doors. Eric: So over a half a million dollar investment in tools alone, special tools, just to call yourself a VW dealership. If paintless dent repair is your need, that’s another issue that could be fixed with another professional. Eric: What do the independents do? Charles: Luckily there’s a lot of work around for special tools, which you guys watch some of these videos that come out, we’ll talk about some workarounds for special tools, but there are tool companies that make replica special tools, you can buy Volkswagen special tools online. Some stuff, you’ve gotta have it, a lot of stuff there are workarounds. Some of those workarounds get pretty sketchy and make me really uncomfortable but they’re out there, for sure. Eric: Well, let’s leave it at that then. Japanese cars are easy to work on, German cars involve a lot more special tools, however, if you wanna know more about German cars, check out Charles’ channel, I’ll link it down in the description. Eric: If you have automotive questions, I ask that you visit EricTheCarGuy.Com. I’m gonna make it super easy by putting a link in the description for you. Google Plus, Facebook, Twitter, Instagram if you wish to connect to me socially, be safe, have fun, stay dirty, thanks for watching, bye.